VATICAN MUSEUMS - SISTINE CHAPEL - Book your skip-the-line tickets! VISIT VATICAN MUSEUMS & SISTINE CHAPEL! The Vatican Museums are considered among the most important museums in the world, and visiting them is essential for anyone who comes to Rome. 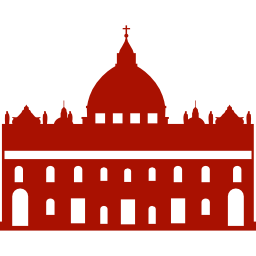 Here the Popes have, over time, collected and preserved some of the greatest masterpieces of all time and the most precious artefacts of the past. First and foremost, they made the art collections from their buildings available to the public. The world’s first public museum, it was commissioned by Pope Sixtus IV (1471-1484) who decided to donate his collection of classical sculptures to the Roman people and to open the very first museum in the Capitoline building. Implementing a project of Nicholas V (1447-1455), he also founded the Vatican Library – the second public library in Europe after the St. Marco Library in Florence. Following in these footsteps, his nephew, Julius II (1503-1513), donated his own ancient marble sculptures to the Holy See to be exhibited in the garden of statues – today, the Octagonal Courtyard – the site of the future pontifical museums and galleries. The ticket office is open from 09:00 to 16:00. N.B : Exits from the rooms half an hour before closing. You can select in the morning or afternoon, and the exact time will be given at the time of booking. Select a time slot for entry into the museum. Once inside, you can stay in the museum for as long as you want ! Search engine for artwork or artists.